For this installment of ‘The Insider,’ a series highlighting the movers and shakers in philanthropy and the non profit world, meet Akira Barclay! Akira is a philanthropic services professional with 10+ years experience. She is an expert in fundraising, development and strategic planning for small organizations, cause-marketing, corporate partnerships, and grantsmanship. Akira is also a trusted advisor to emerging philanthropists in the corporate, real estate, sports and entertainment industries. Read on to learn more about Akira, how she got started in philanthropy, and her advice on how non profit organizations can obtain corporate support! Education & Training: Bachelor of Social Work, Virginia Commonwealth University (VCU); studied nonprofit management in VCU’s Especially for Nonprofit Organizations Certificate Program and at New York University’s George H. Heyman, Jr. Center for Philanthropy and Fundraising. Current Positions: Director of Development at Love Heals, the Alison Gertz Foundation for AIDS Education, the leading provider of HIV/AIDS education in New York City Public Schools. 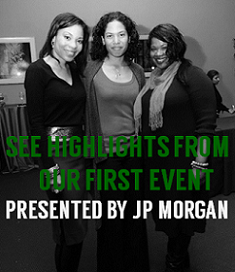 Provides executive direction for Black Girls Rock! I’ve worked in the nonprofit sector my entire career, starting out in Social Work. My experience as a direct practice social worker is what led me to philanthropy. For two years I worked with youth in the Washington, DC area while I pursued an MSW part-time. Frustrated by my organization’s lack of resources, I found myself digging into my own shallow pockets to finance my work. Later, I learned that my entire program was funded by a single grant. I thought about what she said and looked into it. Unexpectedly, my eyes were opened to the amazing world of fundraising and development where grantsmanship was just the tip of the iceberg. I began voraciously reading anything I could get my hands on about philanthropy – a habit that I have to admit persists to this day. I withdrew from my MSW program, and enrolled in a new nonprofit management certificate program at Virginia Commonwealth University. Those continuing education courses provided the bridge to my new career as a fundraiser. After applying for entry level development positions around the country, I landed my first fundraising job in New York as Development Associate for a $9 million capital campaign. In your role working with the organization Black Girls Rock!, you were successfully able to secure corporate sponsorships for the Black Girls Rock awards. How did you accomplish this and what advice do you have for non profits seeking corporate partnership and support? The Black Girls Rock! Awards is an amazing event benefiting a great cause. By leveraging some of my existing relationships, working to create sponsorship benefits that were attractive to corporate brands and being willing to customize those various benefits to best serve the needs of the potential sponsor, I was able to gain corporate support. I also put a lot of effort into fulfillment and making sure my sponsors felt like they were getting their money’s worth. My advice to nonprofits seeking corporate support would be to first realistically evaluate what the organization has to offer. Nonprofits are more likely to find success by paying adequate attention to the motivations and objectives of the corporations they want to partner with, rather than focusing solely on what they want out of a partnership. Once you’ve figured out your organization’s assets, be creative, be flexible and pursue a partnership with a corporation whose goals are aligned with your mission. 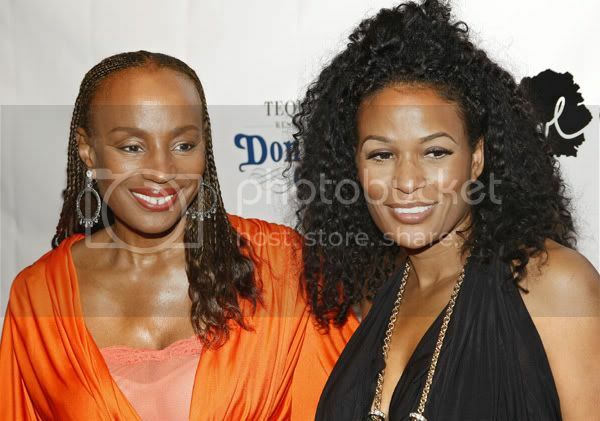 Susan Taylor of the National Cares Mentoring Movement, with DJ Beverly Bond at the 3rd annual Black Girls Rock! Awards, November 2, 2008 in NYC. As a skilled Philanthropic Services Provider at TheFOUNDATION, you use an approach dubbed “fresh philanthropy.” What does this term encompass? Fresh Philanthropy is a term I use to describe my approach to charitable engagement. In my work, I place great emphasis on cultural competence and innovation but always while looking at traditional industry best practices. What advice do you have for those interested in philanthropy as a career? An exciting movement for the professionalization of the industry of fundraising is underway. I would encourage anyone interested in a career in philanthropy to take advantage of the many professional graduate concentrations, certificate programs and trainings that are now available. Also, explore the variety that a career in philanthropy can offer. A good way to do this is by volunteering or doing an internship with a nonprofit organization. You can also gain valuable experience in grantseeking, prospect research, special events and direct mail, all skills that will undoubtedly help you get your foot in the door for your first job in philanthropy. For those who are interested in becoming grantmakers and working at a foundation, an advanced degree in the grantmaking focus area is commonly required. Any projects or events you'd like to share? Love Heals is holding its 10th Annual Love Heals at Luna Farm event on Saturday, June 20th in the Hamptons. HIV/AIDS education and prevention is such an important issue for the Black community, and all proceeds from this event benefit Love Heals’ tireless efforts to empower young people in the fight against HIV. For more information about how you can support Love Heals at Luna Farm, visit HERE. Also, Black Girls Rock! is in the process of expanding its popular mentoring programs to serve more of the New York City metropolitan area's young girls in need. The organization is currently recruiting corporate partners to supply both funding and volunteers to support this effort. Akira loves meeting new people who are interested and work in philanthropy! Feel free to contact her at akira@thefdn.org. ‘The Insider’ is a series highlighting the movers and shakers in philanthropy and the non profit world. Are you an Insider? Do you know an Insider? 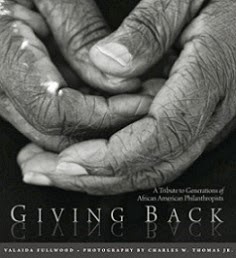 Email me at blackgivesback [at] gmail.com.